Tapestry Tribal is very selective about performance opportunities. We only accept paid professional performances that interest or inspire us. 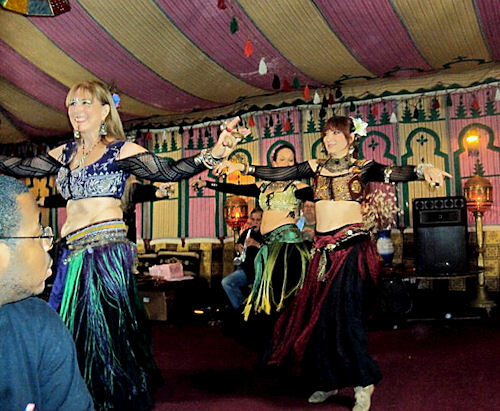 We will donate performances at haflas, festivals and benefits which have meaning for us. We do not dance for exposure, nor do we pay to dance. We will not accept a free performance opportunity for which a professional dancer would otherwise be hired for pay. The information listed below is offered to educate prospective dance employers about local Philadelphia rates. Thank you for your interest. Add an exotic and mysterious flavor to your next event! 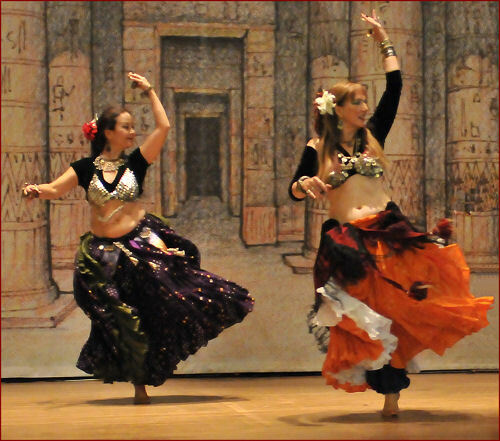 Tribal style bellydance weaves elements of the ritual and folkloric dances of the Middle East, Northern Africa, India, and Spain into a rich and diverse fabric. Our tribe of dancers create a majestic spectacle with swirling veils, ringing finger cymbals, and slow, snake-like movements under swords or baskets balanced on our heads. 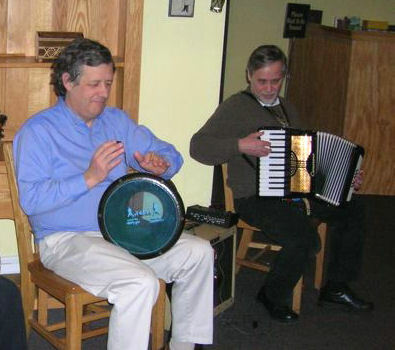 We exchange lead and follow roles in a unique group improvisational format, supported and enhanced by the exotic traditional rhythms and haunting melodies of our live musicians. We have a two dancer minimum. and the length and type of show. General pricing guideline: $150 to $200 per performer. 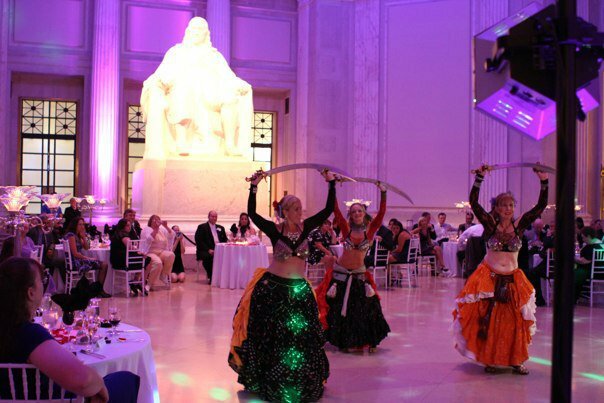 Shows can be tailored to your event and your budget. Our shows are always family friendly. Combinations of 2-8 dancers and/or 1-4 musicians. 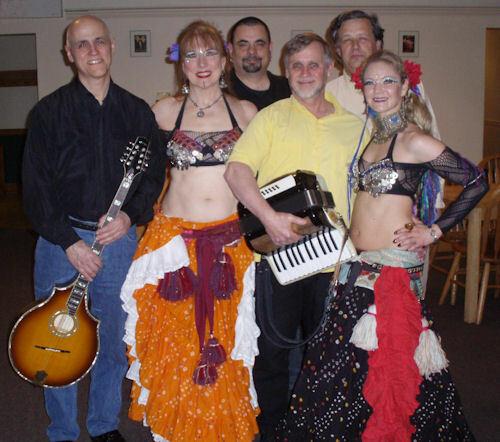 A quartet (2 dancers, 2 musicians) is a popular choice for many events. 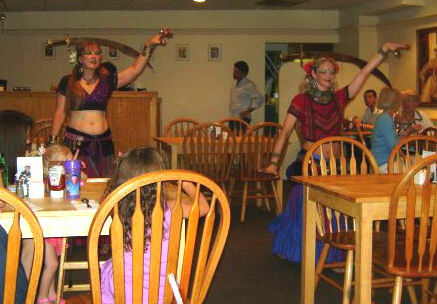 Live musical entertainment in 45 minutes sets with dancers for 20 minutes during each set. Stage shows, wandering shows, and atmospheric ambiance. Dancing with veils or candles. 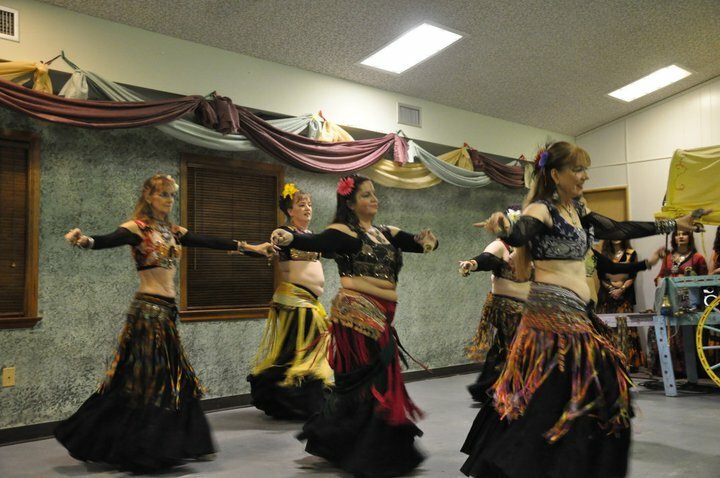 Bonnie is available to provide interactive group dance experiences at bridal showers, baby showers, "girls night" get-togethers and other family friendly celebrations. Share your ideas, and we will work with you! Please plan to provide a private changing room at the event. To secure a date, we request a 50% deposit.